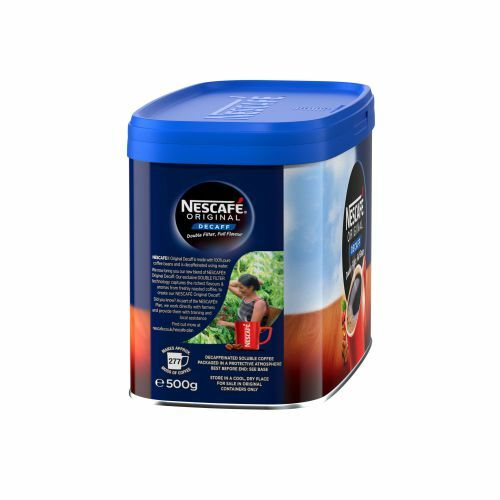 The original signature coffee from Nescafe combines medium-roast Arabica and Robusta beans to create a deep, full-bodied flavour. It is this distinctive taste that has made Nescafe Original a popular and well-loved brand, used in homes and offices all over the UK as a popular everyday coffee. 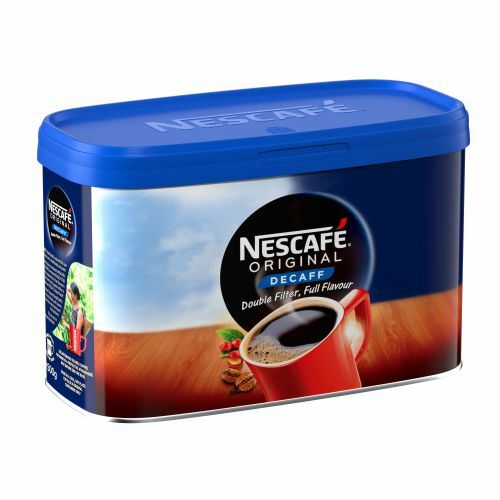 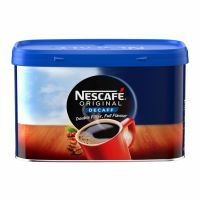 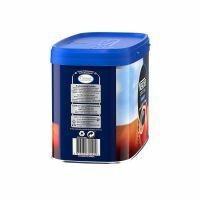 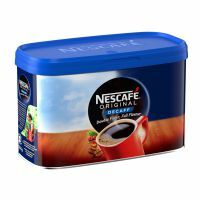 Sold in a premium 500g tin with click-to-close technology to lock in flavour and keep the coffee tasting fresh, this coffee retains all the flavour of Nescafe Original, but without the caffeine. 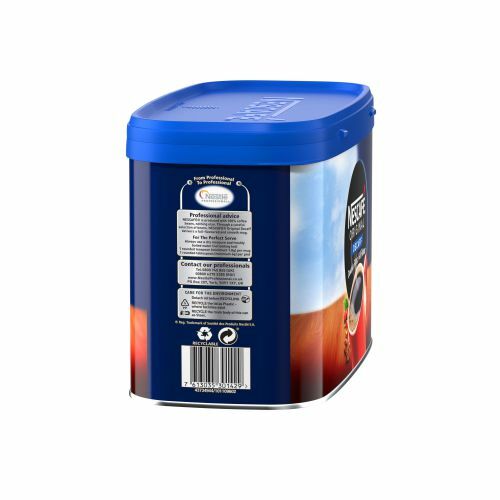 FABs for original below "Double filter, full flavour"